English Premier League giants Liverpool FC have revealed that former Cameroon international Joel Matip will not need surgery. The defender has been struggling with an ankle injury in recent times and he missed Liverpool's 1-0 league win over Everton FC in the Merseyside derby on Monday. 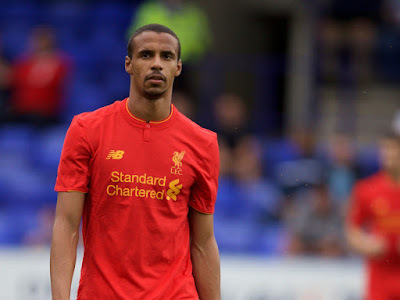 Liverpool head coach Jurgen Klopp has explained that Matip just needs to rest before he returns to action for the high-flying Reds, who are placed second on the league log. "It’s just a case of time. There will be no surgery, there is not even a risk of it. It is only about resting the injury or not," Klopp said. “Try it every day or give it a few days. That is what we already did. Against West Ham it was possible to play but then against Middlesbrough it was not. “For Bournemouth he was involved in the squad and then we made the decision [not to play him]. It’s in the moment," he added. Liverpool will take on Stoke City in their next league game which is scheduled to take place at the iconic Anfield Stadium on Tuesday night.